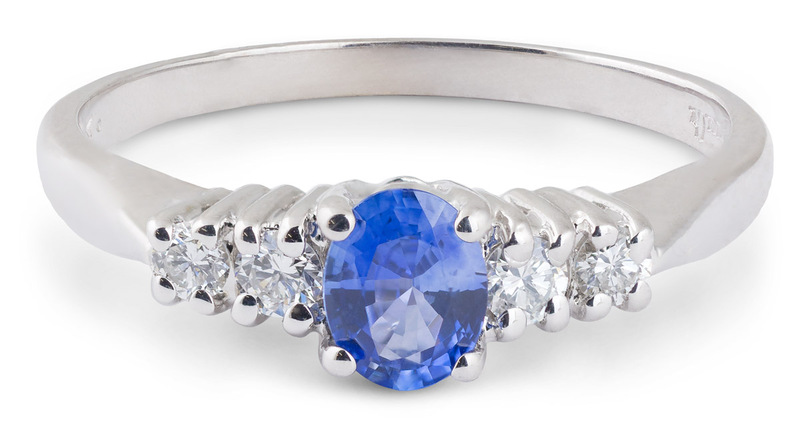 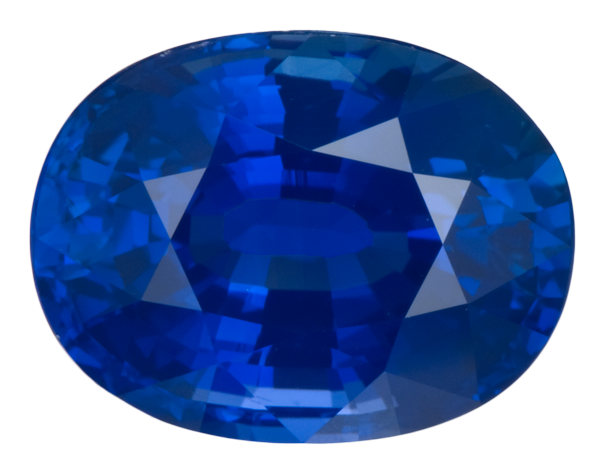 This lovely ring has an oval sapphire center, with groups of three glittering diamonds on either side. 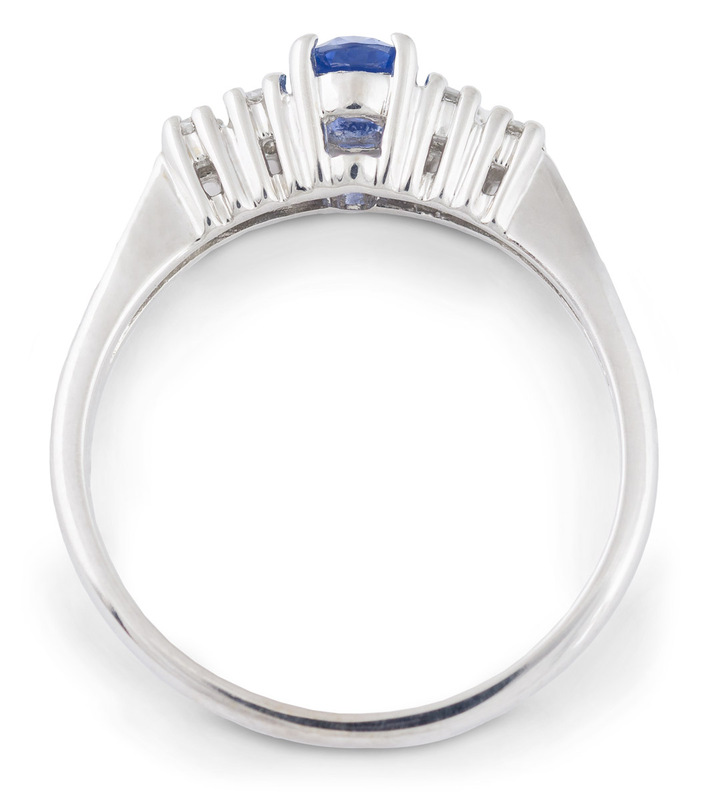 The rings simple and understated design allows the central sapphire to really steal the show. 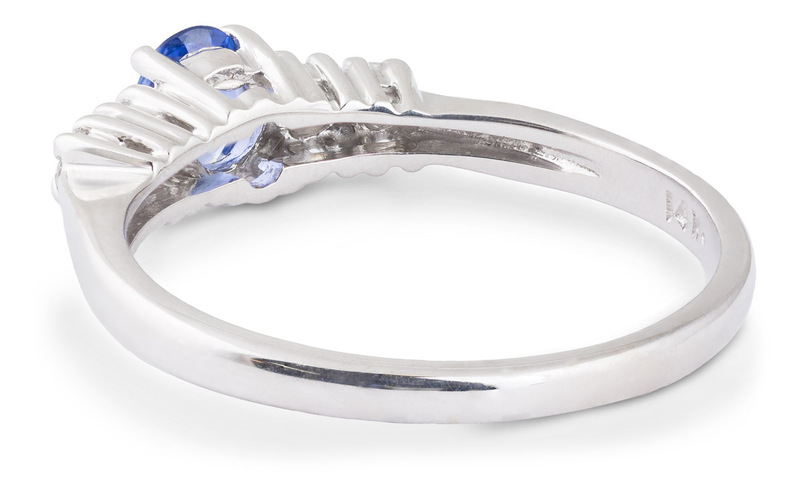 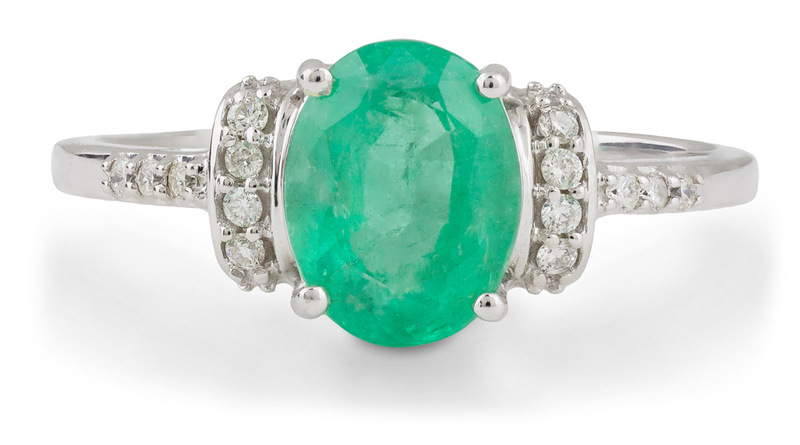 This ring is a great jewelry option for any occasion. 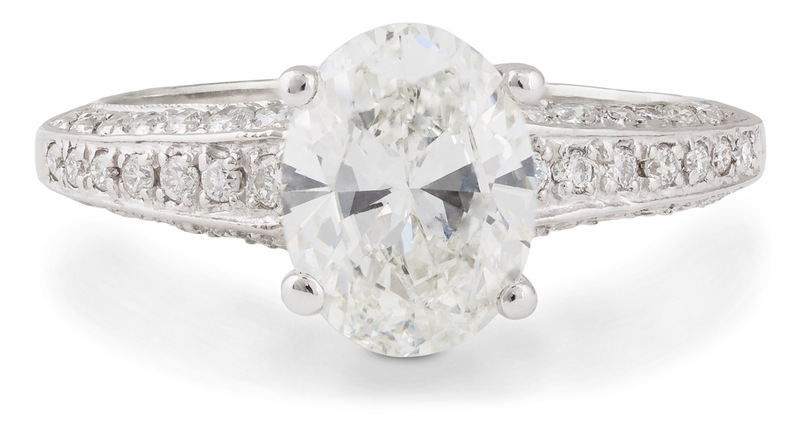 It would also make a beautiful engagement ring, for those non-traditionalists on a budget.